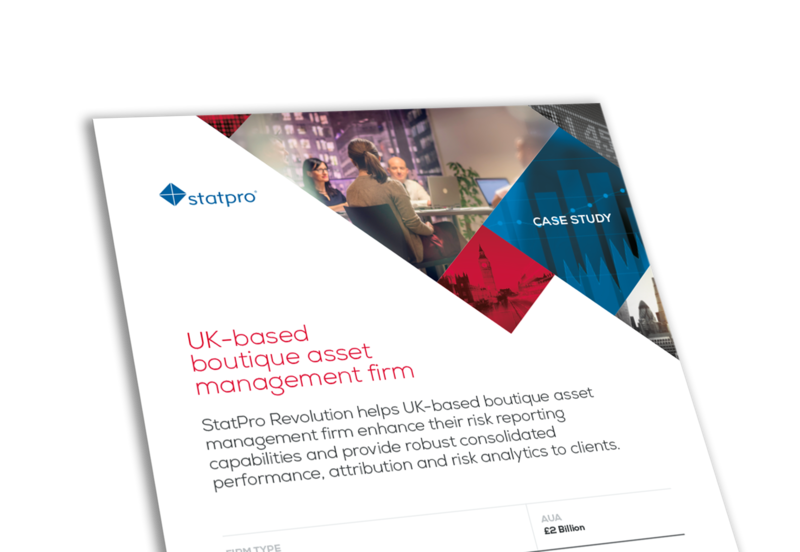 StatPro Revolution helps UK-based boutique asset management firm enhance their risk reporting capabilities and provide robust consolidated performance, attribution and risk analytics to clients. Finding a solution that could deliver forensic and flexible oversight of all investments through granular and reconciled risk and portfolio analytics. Granular risk and portfolio analytics combined with robust and flexible reporting, meeting both regulatory and client requirements. 360-degree view of all their investments with robust risk monitoring alongside integrated performance and attribution analysis.